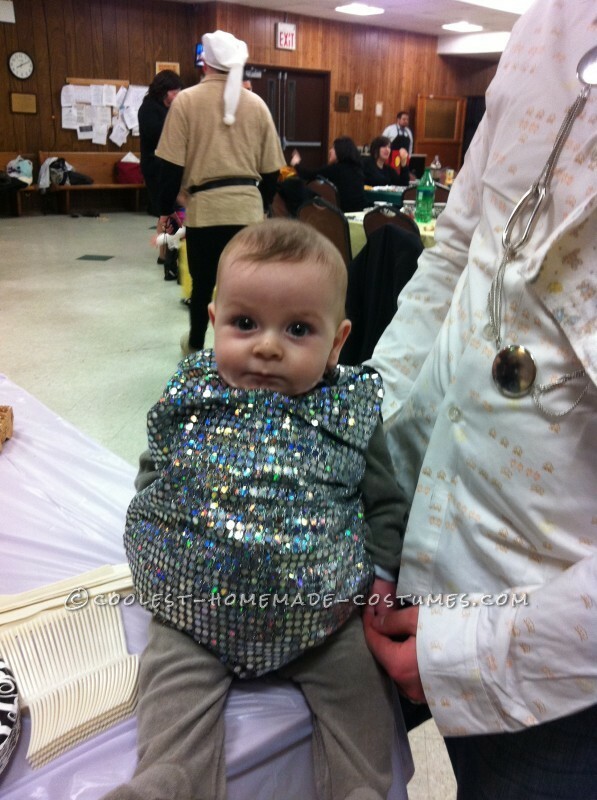 I had a few variations of the baby disco ball costume, but in the end this was was the easiest to make and the most comfortable, so my son would actually keep it on. I purchased a pumpkin costume because it was the shape I wanted. I then used it as a pattern and cut out pieces of sparkly silver sequined fabric to match. I didn’t have much time, so I actually just sewed the silver fabric over the pumpkin costume and tacked out all the seams to no orange pocked though. Then I stuffed the front part of the costume with soft blankies and burp clothes to give it a rounded ball shape. 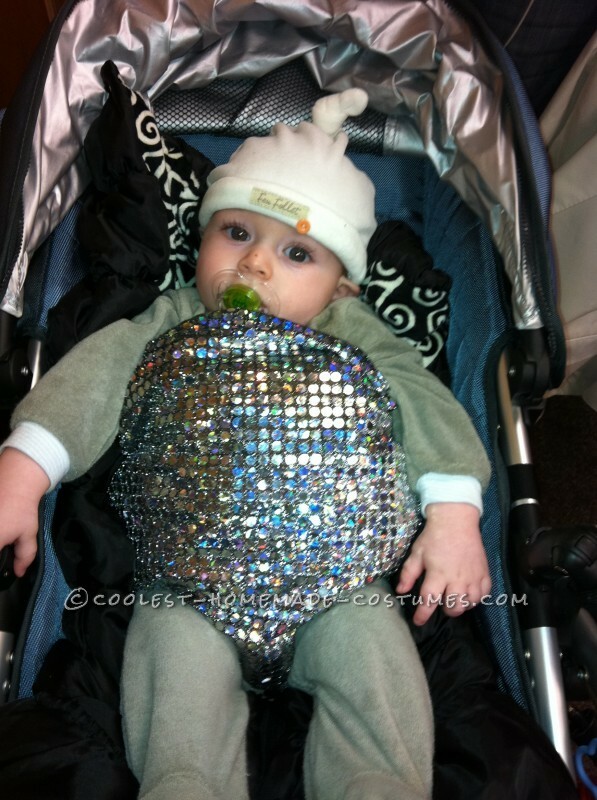 Paired with any silver or gray onesies under the costume and there you have it…baby disco ball. 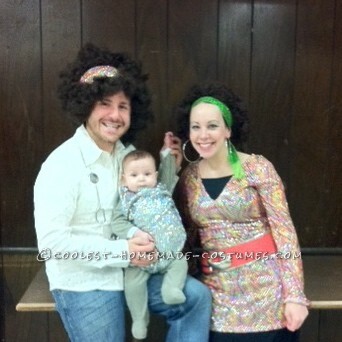 To match my husband and I wore 70’s clothes and Afro wigs. We won the costume contest at our local party.